Here is a round up of metrics for April 2017. For all social media, the item shown is the most popular this month. Due to temporary problems retrieving www.bgs.ac.uk web logs that we resolved on 7 April (hooray! ), these statistics are slightly lower for the first few days than usual and incomplete for this month. 21st Century Exploration Roadmap Palaeozoic Project released for underexplored petroleum systems. 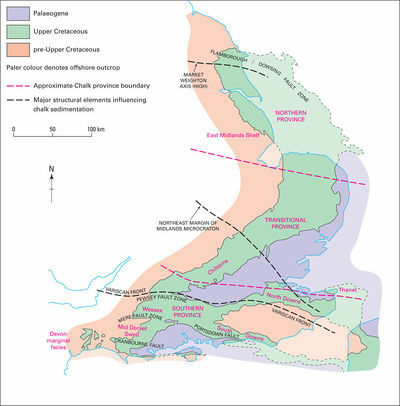 The British Geological Survey (BGS) and the UK Oil and Gas Authority (OGA) are pleased to announce the release of the 21st Century Exploration Roadmap (21CXRM) Palaeozoic Project, aiming to improve the knowledge and data from the underexplored Palaeozoic petroleum systems of the North Sea and Greater Irish Sea. Environmental Baseline Monitoring : Community Event 2017 33 views. Here's a sneak preview of our new 1: 1,250,000 #bedrock #geology map of the UK and Ireland. 302 favourites (9,558 impressions). Devil's Study, between Whinnyfold and Old Castle in Aberdeenshire. 183 likes. 7 'eggs'-tremely tenuous links between geology and Easter...by Kirstin Lemon. 915 views.